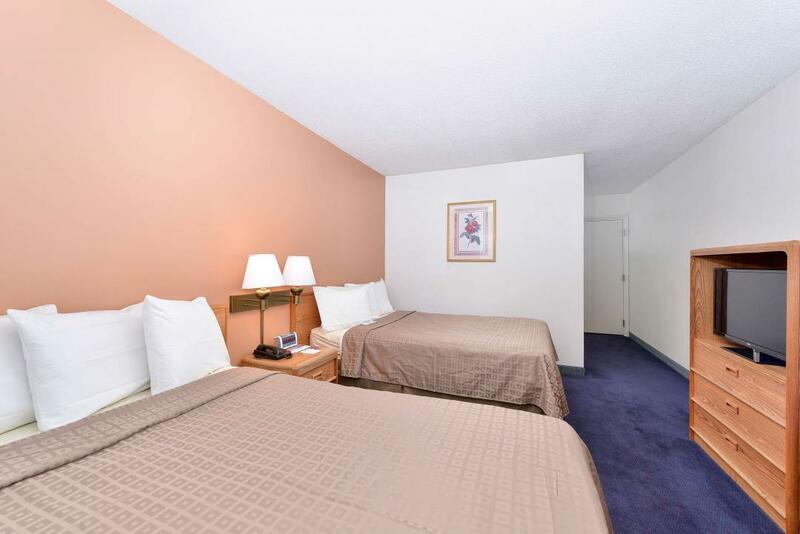 Americas Best Value Inn Ashtabula-Austinburg offers clean, fresh, comfortable rooms at an affordable rate. All rooms include secure electronic keycard entry, individually controlled ac-heat units, 24-hour front desk service, deluxe cable TV, hairdryer, iron and ironing board, desk, alarm-clock radio, free local calls and wake-up service, the convenience of a mini-fridge available upon request, on-site coin-operated guest laundry, fax and copy service. 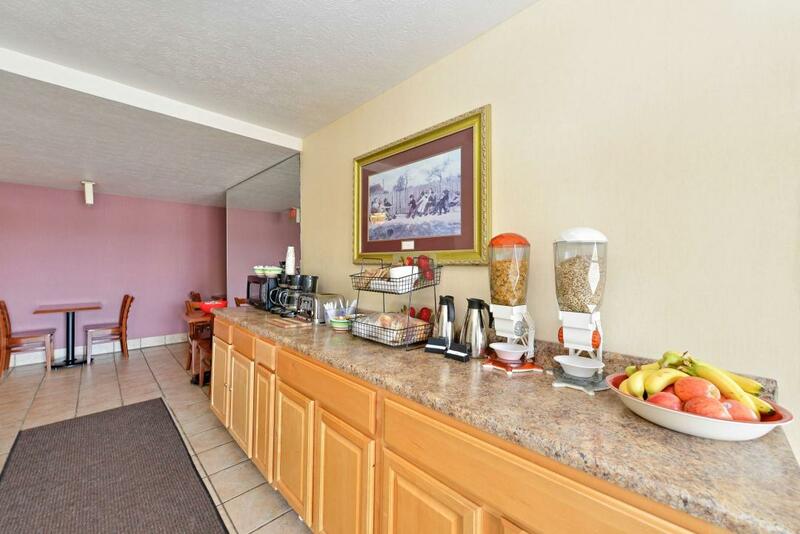 Stay connected with free Wi-Fi and start your day right with a free continental breakfast. We are located just north of I-90 at Exit 223 in Ashtabula County, Ohio. 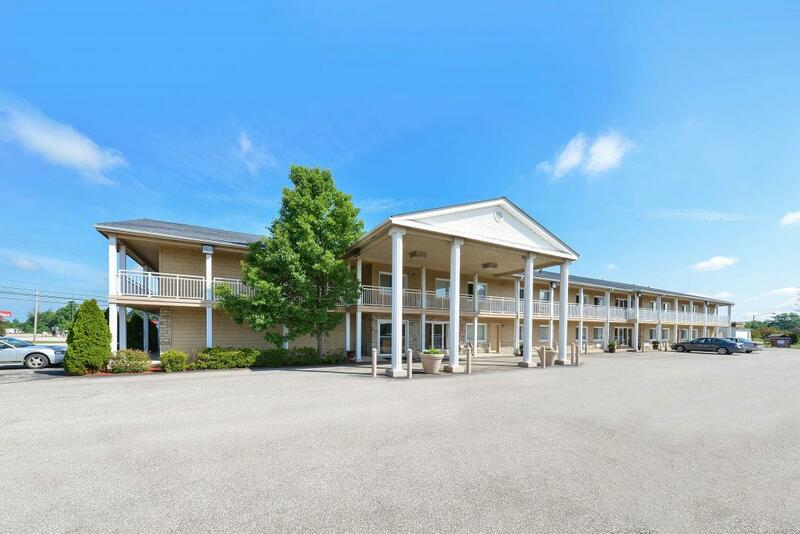 When looking for comfort, quality and service and a friendly staff to serve you, you will find it at Americas Best Value Inn, Ashtabula-Austinburg, Ohio. Mr C's Family Restaurant, 0.1 mi. Covered Bridge Pizza, 3.5 mi. Great Wall Chinese Restaurant, 4 mi. Casa Capelli Restaurant and Catering, 4.9 mi. Chops Grille and Tap House, 5.4 mi. Ferrante Winery & Ristorante, 6.3 mi. Old Mill Winery, 6.5 mi. Martinis Restaurant and Lounge, 7.3 mi. Piero's Pasta House, 10.2 mi. Hilmak Seafood Restaurant, 12.3 mi. Check out these Austinburg attractions during your stay. Maple Ridge Golf Course, 1 mi. Western Reserve Greenway Trail, 1.2 mi. Chapel Hills Golf Course, 3.3 mi. Ashtabula Bowling Center, 7.2 mi. Wellness and Total Learning Center, 7.8 mi. Grand Haven Stables, 10.7 mi. Lake Shore Park, 11.7 mi. Kona Babe Charters, 11.9 mi. Conneaut Township Park, 21.6 mi. 16 Award Winning Wineries, 2.7 mi. 18 Covered Bridges, 2.9 mi. Historical Ashtabula Harbor, 3.5 mi. Ashtabula County Fairgrounds, 6.2 mi. Harpersfield Covered Bridge , 6.2 mi. Ashtabula, Carson, and Jefferson Scenic Train Rides, 7 mi. Jefferson Depot Village, 7 mi. Finnish American Heritage and Museum, 8 mi. Geneva State Park, 10.7 mi. Ashtabula Harbour Commercial Historic District, 12 mi. Ashtabula Marine Museum, 12 mi. Ashtabula State Park at Walnut Beach, 12.6 mi. Hubbard House UGRR Museum, 13 mi. Ashtabula Covered Bridge, 13.1 mi. Conneaut Historical Railroad Museum, 20 mi. Conneaut State Park Beach and Lighthouse, 21.6 mi. Pymatuning State Park, 38.3 mi.